Just a note to acknowledge many people that have contributed to this blog with facts and photos, among them are: Emerson Manawis, Tom Morato, Lito Ligon, Jim Litton, and especially Larry Ng, to name but a few. I continue to rely on my readers’ help to share their memories and photos with the rest of us. Thank you ! The Philippines is known for being the most widely Catholic country in Asia as well as being one of the best educated. It is especially evident in the proliferation of schools and churches within the Manila area. Our churches are rooted in time as they attest to their history from the Spanish Catholicism through American Protestantism initially brought over by the American teachers called “the Thomasites”. Nuestra Señora de Guia is the patron of Ermita Church and the parish is named after her. Her image is the oldest in the Philippines having been discovered on May 19, 1571 around the seashore which is now the site of the Ermita Church by soldiers of Miguel Lopez de Legaspi after he took over possession of the city in honor of King Felipe II of Spain. The story surrounding the statue is quite interesting. One of the soldiers wishing to rest after the vigors of their journey, had gone out for a stroll along what was the Muralla, and reaching the shores of the sea (now Ermita), saw a big crowd gathered in a recess formed by palms of surrounding pandan trees. His curiosity led him nearer to the place where he saw to his amazement that the simple natives were in the midst of a superstitious cult before a beautiful statue of the Holy Virgin, placed on a pedestal adorned with palms. The soldiers then removed the statue and placed it in a small, improvised church of the Immaculate Conception (Manila Cathedral) but later transferred it back to its original location in Ermita. It is said that the image must have been one of those brought to the country by Ferdinand Magellan in 1521 and must have been sent by the Cebu native chiefs as a gift to one of the rajahs in Manila. In a Royal Decree dated August 9, 1578, the King of Spain declared Nuestra Señora de Guia as the “Sworn Patroness” of Manila by reason of the continual favors that she lavished on the city. The image of De Guia is brown, about fifty centimeters tall including its pedestal. The lining of its dress on tunic is of dark red silk with white parallel strips. From the waistline to its tunic, it has a kind of tapis similar to that worn by the Filipina women of the past. The image has survived manmade and natural disasters since the 16th century, but the structures that housed it didn’t. 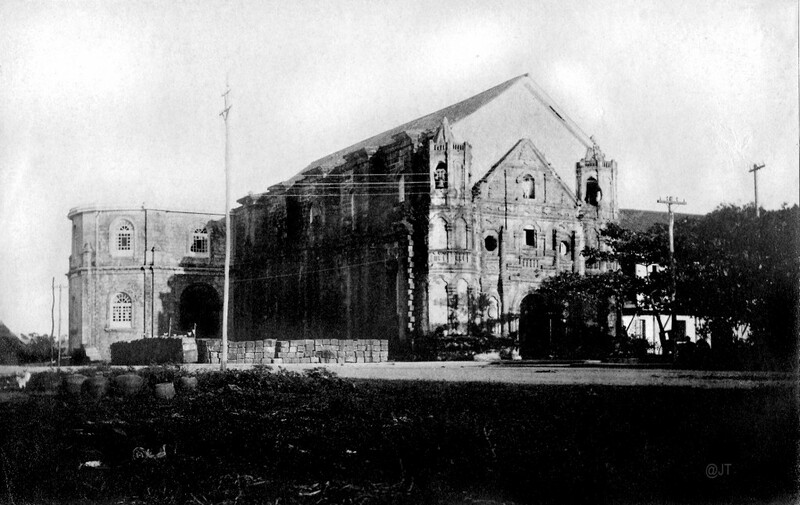 The present Nuestra Senora de Guia church is the 9th in the succession of wooden, nipa, bamboo, or stone churches that have stood on this site and eventually disappeared. 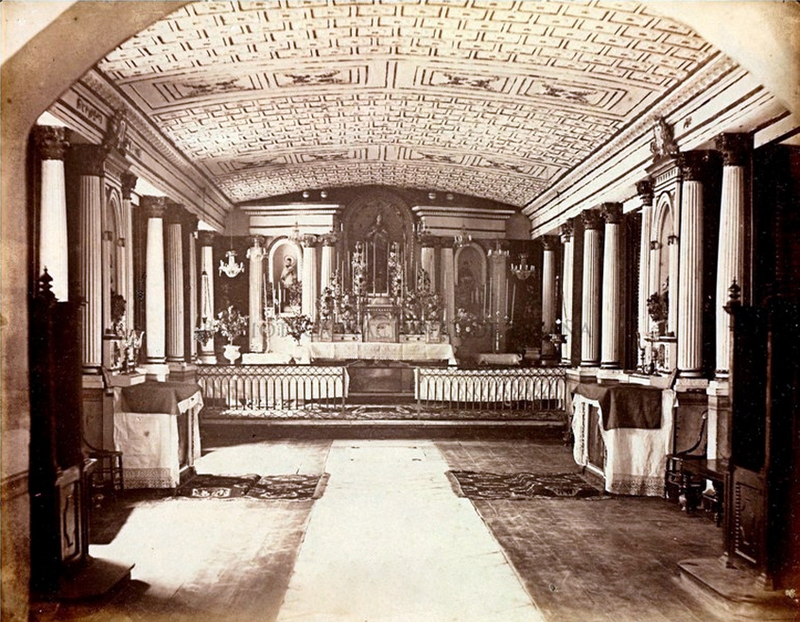 Lorenzo Guerrero, artist and architect, designed and decorated the Ermita church when it was rebuilt in 1885. Lorenzo was a precocious talent, already giving drawing lessons at age 16. José Rizal described him as a “master who had virtually taught himself.” The architect Arellano studied painting under Guerrero. As an art teacher, Guerrero’s influence was considerable. As a connoisseur of music and literature, he had his house in Ermita turned to a veritable salon where Manila’s intellectuals met and exchanged views. As a gifted painter, whose delicacy of execution and handling of light and shadow was incomparable, he centered his work on two subjects — religious themes and scenes depicting native life and customs. Unfortunately, Guerrero died of acute asthma in 1904. His remains were buried in his beloved Ermita Church. 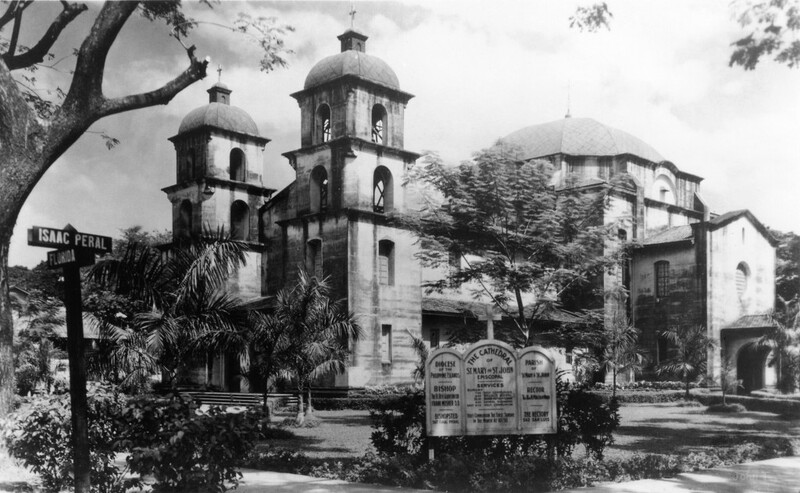 After the destruction of the war, the new Ermita Church was designed and reconstructed by architect Carlos Antonio Santos-Viola, who is noted for designing the most Philippine churches. 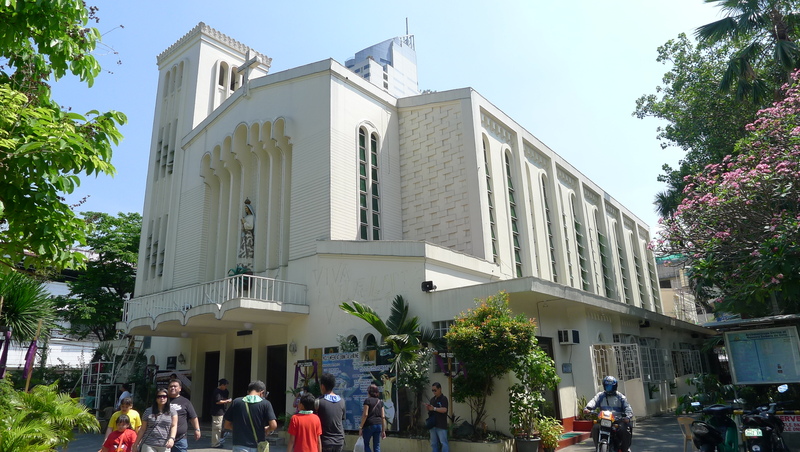 Architect Santos-Viola’s slogan was “The structure should not only look good but should also be made well.” The visible legacy of this motto, the Ermita Church, will stand tall for many decades to come. Architect Santos-Viola was one of the very first graduates of the College of Architecture of the University of Santo Tomas in 1935. He was among the top ten graduates. The professors then were outstanding architects and engineers like Tomas Arguelles, Tomas Mapua, Juan F. Nakpil, Fernando Ocampo, and Andres Luna de San Pedro, the son of Juan Luna. Architect Santos-Viola first worked in the office of Juan Nakpil as a draftsman, eventually rising to associate architect from 1946 to 1950. It was during this time that he met and courted Nakpil’s youngest sister Caridad, who became his wife. 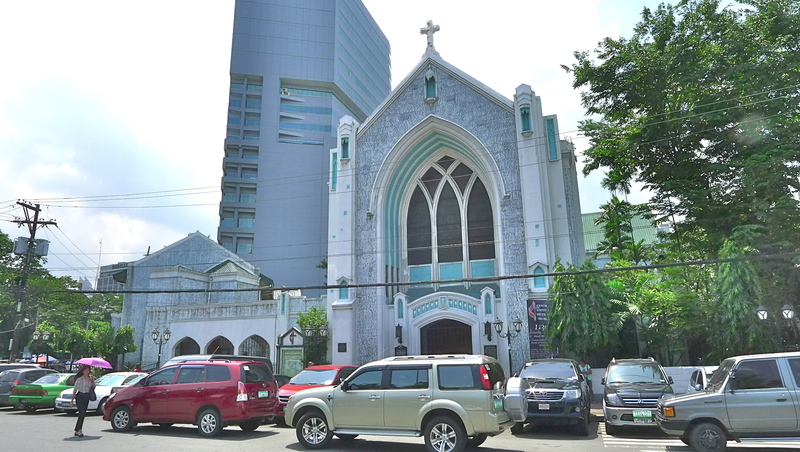 The Ermita Church is a departure from Santos-Viola’s usual designs for Iglesia ni Cristo churches which he adorned with soaring spires, towers and arches. Instead, Ermita Church follows the postwar style of modern architecture with straight lines and functional aspects. Perhaps because the land area is quite small, Santos-Viola sought to make the church seem bright and airy with numerous clerestories that rise up to the ceiling. These windows do not feature stained glass but instead have pastel coloured panels that provide a feeling of wide, open spaces. The ceiling is adorned with oil on canvas murals that depict narratives from the Bible. They add to the attractiveness of this church as one of the most popular Visita Iglesia destinations during the Holy Week visitations. 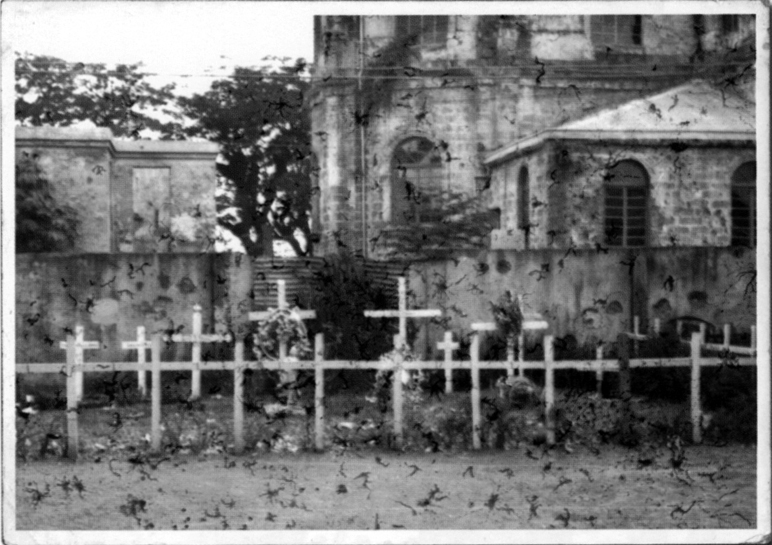 Many churches and chapels of Manila were places in which thousands of residents died in the battle for the city. Ermita Church was no exception. 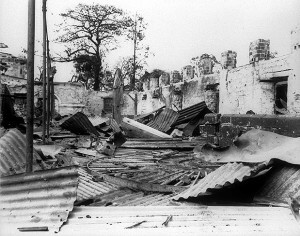 Hundreds of terrorized civilians sought shelter from the American shelling and Japanese slaughter inside or under the church to no avail, for the structure was razed to the ground. All of us who survived the battle for Manila have painful, bittersweet memories of friends and loved ones who did not come out alive. In revisiting old places like Ermita Church and the neighbourhood, we must acknowledge that there are sad memories associated with such old familiar places. Unlike what the Barbra Streisand song says, what’s too painful to remember we simply cannot choose to forget. We honour the memory of those we loved and lost. But like surgeons, we must root out the bitterness of the circumstances in which they perished, and not revisit and reopen old wounds of more than half a century ago. Acknowledgment and acceptance are steps that lead to healing. Life goes on. The church was officially declared a holy shrine in 2005 based on its historical significance and extraordinary devotion to its patron. No article on Nuestra Senora de Guia Church (Ermita Church) would be complete without a few words about its plaza. Although not contiguously in front of the church, Our Lady of Guidance Plaza is a small green space across M.H. del Pilar Street from the church in Ermita. Formerly known as Ferguson Plaza, it rightfully deserves to be cited and preserved as a complementary amenity to the shrine. Urban designer Daniel Burnham actually intended at least 9 large parks for Manila. His philosophy was that every city resident should be within walking distance of a park. Sadly, his vision for that many parks did not materialize. Of course, Manila has expanded greatly since the days of Burnham. Today Manila is the 15th most populous city in the world by urban area, according to the UN. As of the 2010 census, it had a population of 11.8 million, equivalent to 13% of the national population. It’s a challenge for us to preserve and promote park “breathing spaces” to improve the quality of life and public contentment with our neighbourhoods. 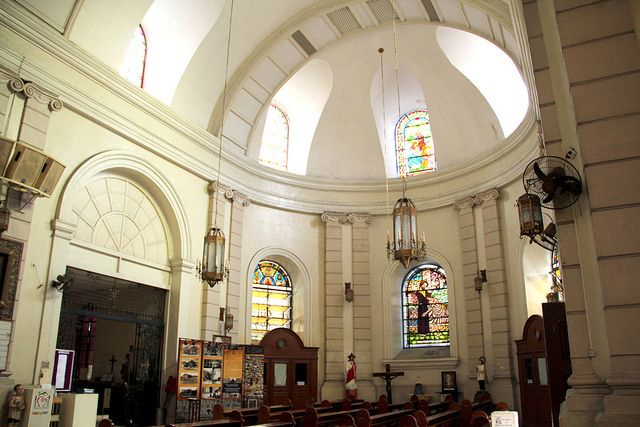 Malate Church, also known as the Church of Our Lady of Remedios is an Augustinian-founded church on M.H. del Pilar Street . 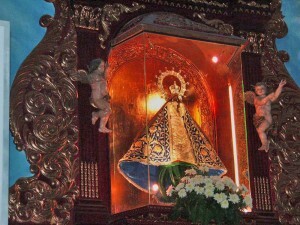 Its titular patroness is the Nuestra Señora De Los Remedios whose statue came from Spain in 1624 by Rev. Juan Guevarra, O.S.A. Formerly known as Maalat (derived from the salty waters near it), the first Malate Church was built by the Augustinians in 1591. However it was torn down, brick by brick in 1667 by the orders of Governor-General Sabiniano Manrique de Lara over fears of an attack by the Chinese pirate Li Ma Hong. The structure was rebuilt in 1677-79 by Fr. Dionisio Suarez, O.S.A. 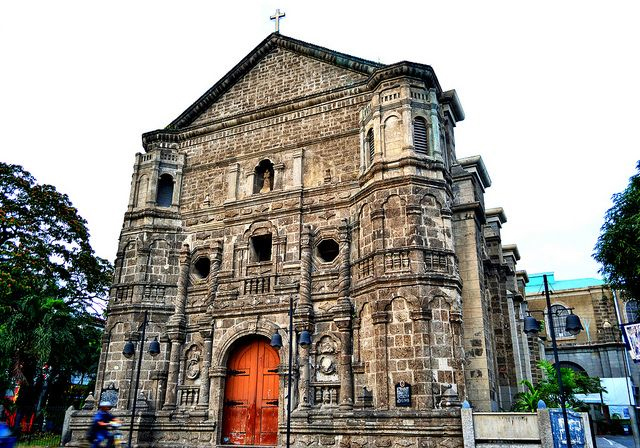 The Malate Church is a solid stone building of Baroque architecture overlaid with Muslim forms, the most prominent feature of which is the horseshoe arch. This influence could be due to the fact that when the church was rebuilt from wood to bricks and stone in 1677, Spain was following the Islamic influence of architectural style. Malate Church under renovation. Note the addition to the roofline. The second structure was put up in 1680. 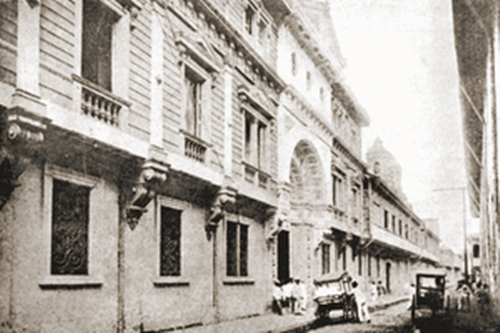 In 1762, the British forces used it as their headquarters when they ruled Manila for 18 months. In 1863, a massive earthquake and a subsequent typhoon destroyed the brick church. The church that remains standing today was constructed after the earthquake under the supervision of Rev. Francisco Cuadrado. 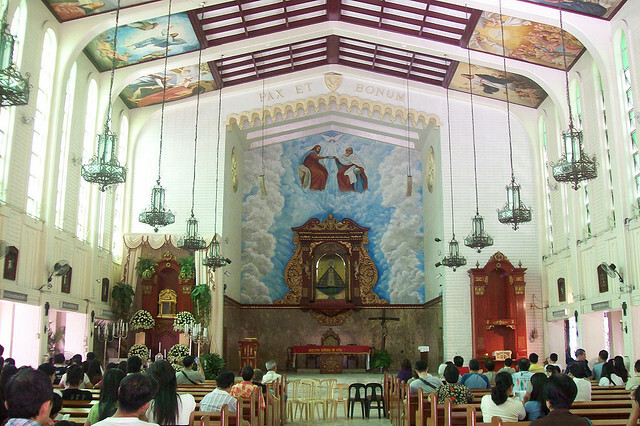 It was razed by a fire during World War II but was restored by the Columbans in the 1950s. The architect of the church is unknown, but after four and a half centuries, the edifice remains one of the most architecturally interesting churches in the country. Its facade has arched and octagonal windows and trefoil arches. It is also decorated with pilasters, moldings, and half-balustrades. Cylindrical buttresses and hexagonal forms enhance its overall ornamentation. Its floor plan follows the Latin cross pattern. 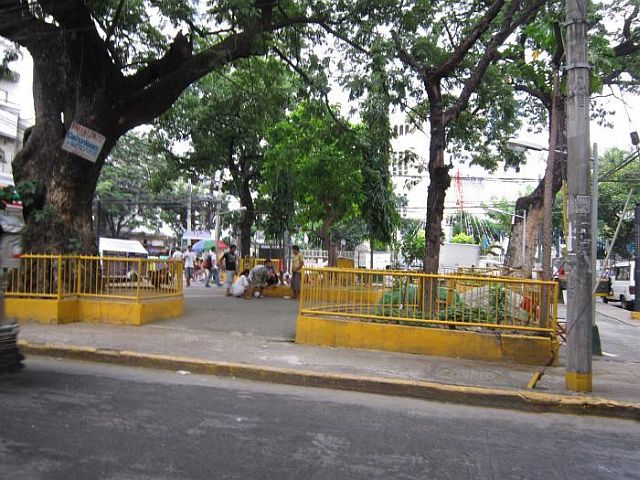 Today, Malate Church stands sedately among the large acacia trees that have graced this neighborhood since the 1930s. 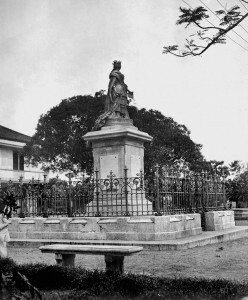 There was a small oval plaza in front of the church between Remedios and San Andres streets, called Malate Plaza but has since been renamed Rajah Sulayman Plaza, after Manila’s rajah who ruled in the 16th century. His statue stands in the park, replacing the one of Queen Isabela II of Spain, which was blown down by a typhoon in 1970 and moved in front of the Isabel II gate in Intramuros. 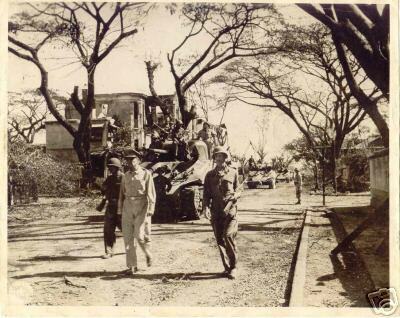 During the Battle of Manila, around mid-February 1945, my parents lived in the Malate area with my invalid grandmother. As the Japanese and Americans were shooting each other, the civilians ran from house to house to avoid getting killed. My dad tried carrying my grandmother as she was partially paralyzed, however it grew too difficult to manage so they agreed to hide her under a pile of corrugated roofing until the next day when they would come back for her. The next day when they returned, they did not see her anywhere. Panicking, they went around the neighborhood asking if anyone had seen her. Two nuns from the Malate school said they had helped my Lola Aurora into the school, which had been converted into a temporary hospital, to hide from the Japanese. My parents survived the war but my grandmother passed away a year later. In spite of repairs, renovations and almost miraculous resurrections, the Malate Church is still engaged in a fight for survival, this time against the forces of climate change. Four and a half centuries of exposure to the salty sea air of Manila Bay are deteriorating and crumbling its adobe walls and facade. The Church’s adobe material – blocks of soft volcanic rock – has high moisture content and cannot withstand extreme and prolonged weather conditions. Furthermore, its exposed position along Manila Bay makes the church even more vulnerable. Until recently, cement plaster was used extensively for repairs, but eventually moisture trapped underneath detached this plaster which then cracked, broke up and fell. Apparently cement plaster and adobe walls are incompatible. 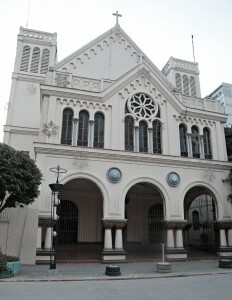 Central United Methodist Church is the first Protestant church in the Philippines, founded in March 5, 1899. It was originally named Central Methodist Episcopal Church, but eventually changed to Central United Methodist Church (CUMC). 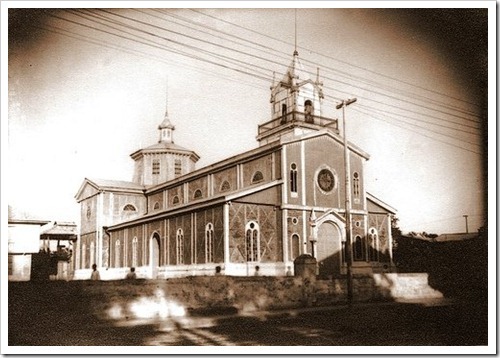 In October 1900, the Official Board of Central Church bought a lot for the church at the corner of San Luis Street, now T.M Kalaw Street, and Gral. Luna Street. 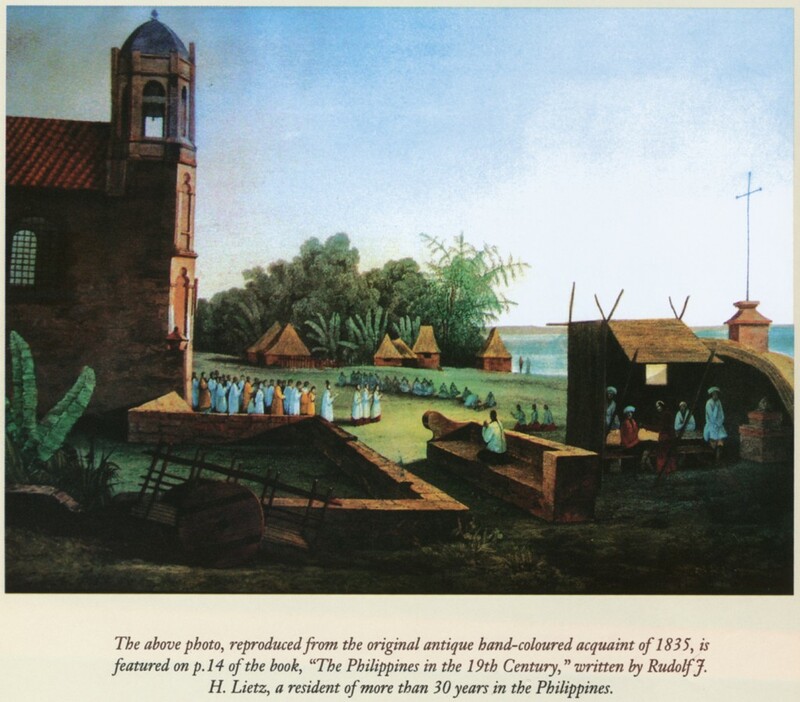 This purchase, costing $3,250, was the first land bought in the Philippines for Protestant ministry. 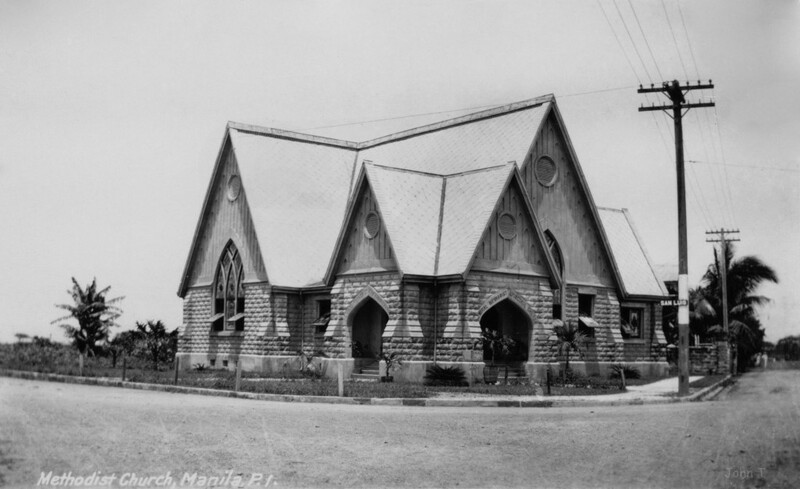 Practically the entire amount was raised in Manila in a short period and a temporary chapel seating 150 was erected. It was dedicated free of debt on Sunday, December 23, 1901. By 1903, Central Church had 300 members. The building shown in the photo was completed in 1906 designed by architect C.B. Ripley. 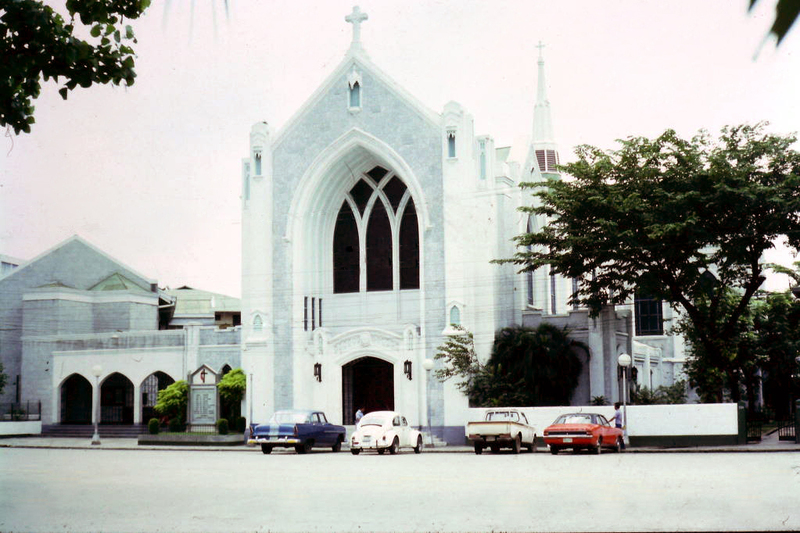 The phenomenal growth of Central Church in the 1920s called for a bigger and modern place of worship. 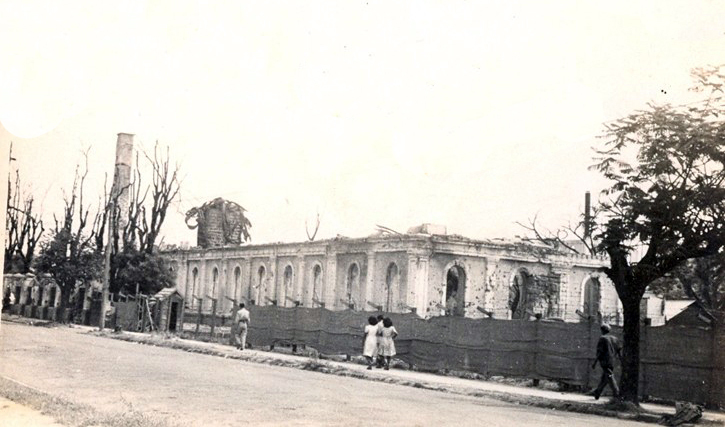 By February 1932, the construction of the magnificent temple designed by Architect Juan M. Arellano was completed. Inauguration took place on June 19, 1932 which coincided with Dr. Jose Rizal’s birth anniversary. 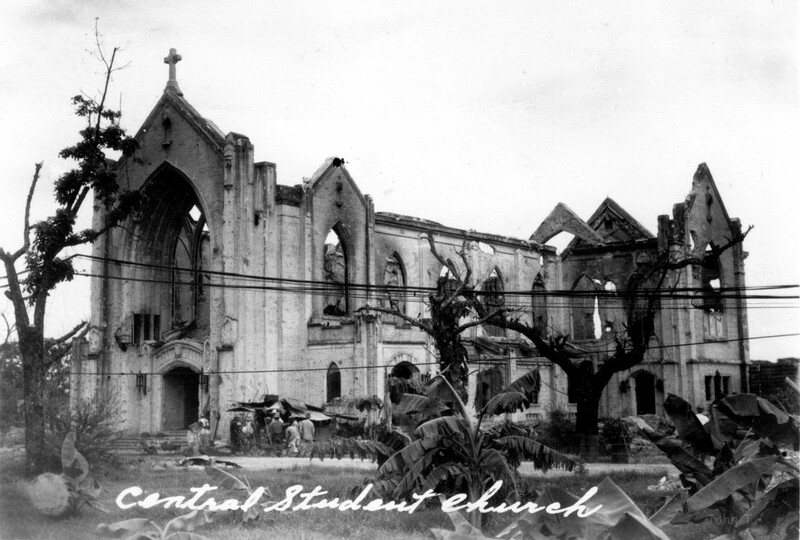 After World War II, Central Church was a heap of ruins, pockmarked with bullet holes, its roofing had completely collapsed. 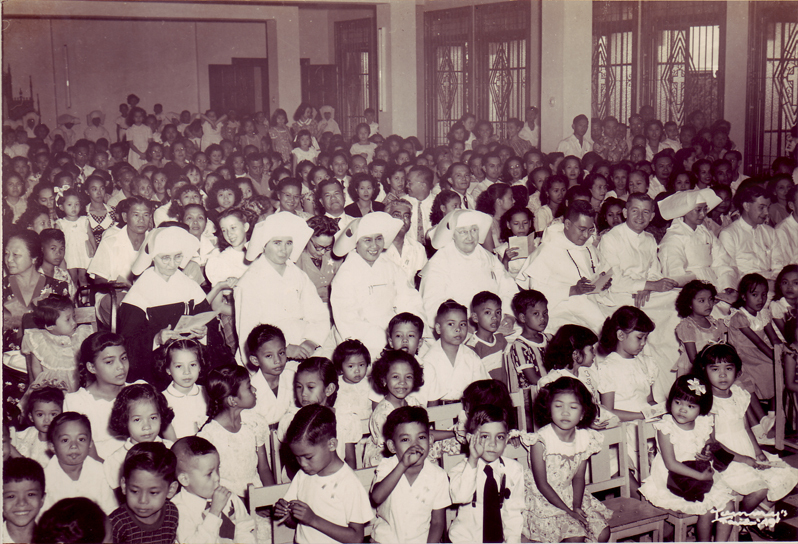 On February 21, 1949, a substantial amount of money was raised for the reconstruction of the church in cooperation with the Council of Bishops in the United States, Secretary of Board of Foreign Missions, Bishop of Manila Central District and the combined efforts of church members. The rebuilding of the church took almost five months to accomplish. The new sanctuary was enlarged with an added wing at the left, where the Perez Chapel and the Student Center stand. At the altar is Da Vinci’s Last Supper and Greek letters Alpha and Omega carved by Graciano Nepomuceno, an outstanding Filipino Sculptor. Seven Central Church symbols were also added to the panels and pulpits. 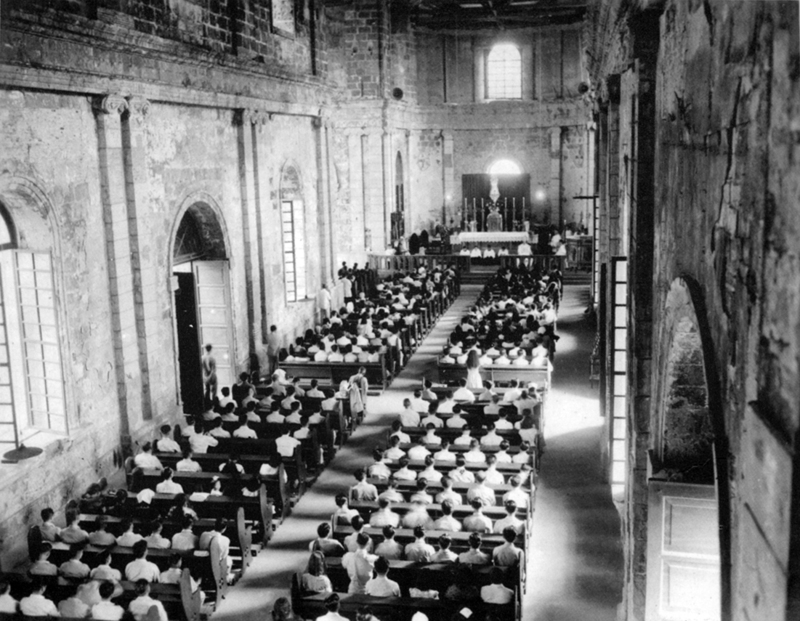 The reconstructed church standing anew in stately grandeur and beauty, opened to the public with a Christmas concert on the evening of Christmas Day, 1949. Re-dedication was made the following year on February 10, 1950. Today the Central United Methodist Church is a fine example of what can be done when Manila’s cherished old buildings are rebuilt according to original plans. Clearly, one of the most imposing churches of its day, it was alluded to as “the Cathedral”. This handsome building of stone and concrete was completed in 1906 at a cost of $150,000, quite a “godly” sum for a project at that time. 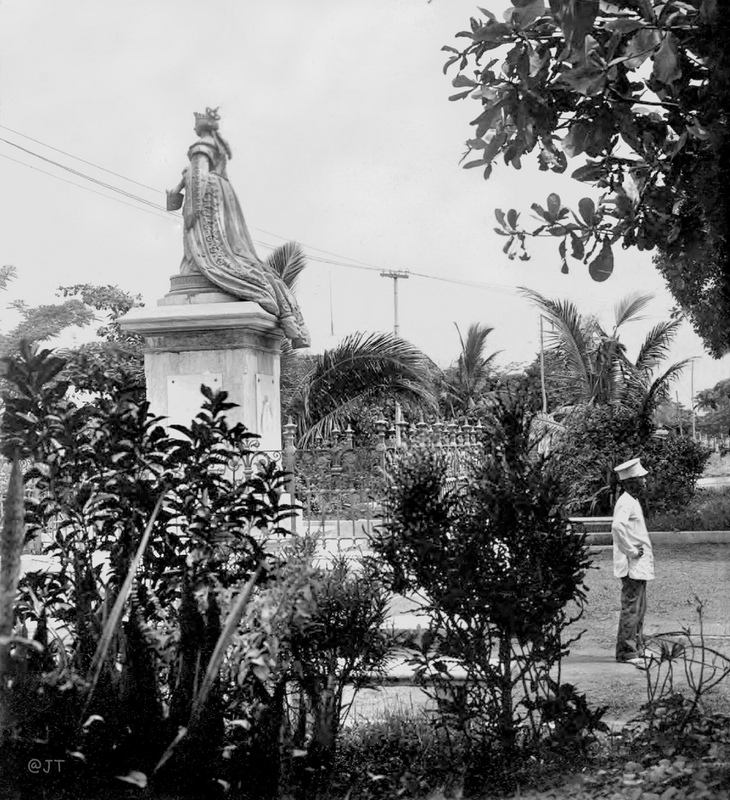 It was located on the corner of Isaac Peral and Florida streets surrounded by acacias and a lovely garden landscaped with hedges and palm trees. James Litton and his family lived in pre-war Manila and suffered through the Battle of Manila. His dad, George Litton, Sr. bought their beautiful home from the Moreta family in 1936 and was situated on Isaac Peral right across the street from the Episcopal Cathedral. Jim has graciously provided two photos of the home: from pre-war days and showing extensive damage after the war. Just a few blocks away on 740 Dakota Street (Adriatico), stood the home of the former Sheriff of Manila from the early 1900s, Jose McMicking. The home is a beautiful example of the more modern style built in the 1920s with a Frank Lloyd Wright flavor. Photo courtesy of Connie McHugh. The Malate – Ermita district was and is home to some of the country’s great colleges and universities: The University of the Philippines, Ateneo de Manila, and De la Salle University and Assumption, Adamson University and St. Paul’s. St. Paul’s College In my last post, I mentioned I went to kindergarten at St. Paul’s College (now University). It was only a few blocks walk from our apartment at the corner of Mabini and Tennessee (Malvar) streets. Either my mom or the maid would walk me down the quiet neighborhood, along the shaded sidewalks. I remember singing the Philippine National Anthem before school started. Of course the big event was “graduating” from kindergarten. I majored in “kalokohan”. Does anyone recognize the faculty staff behind me? Kindergarten graduation -1949 I’m the kid in front with the white shirt and black tie. St. Paul University Manila (SPU Manila) is one of the educational institutions owned and administered by the Congregation of the Sisters of St. Paul of Chartres (SPC). 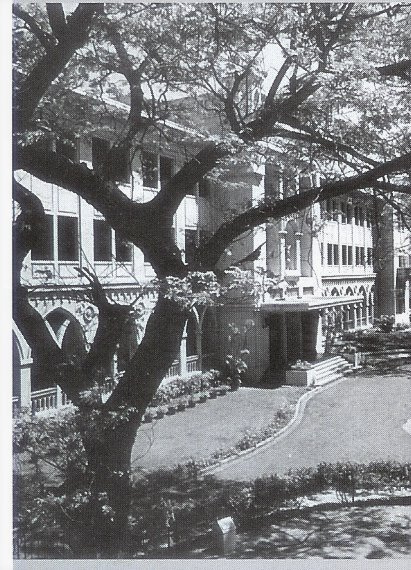 The University started out originally in 1911 as a Novitiate, a training center for young Filipino women wishing to become Sisters of St. Paul of Chartres, on a swampy piece of land in Malate. Upon request of families in the neighborhood, the school instituted a kindergarten class, followed by an elementary and a high school within a few years. 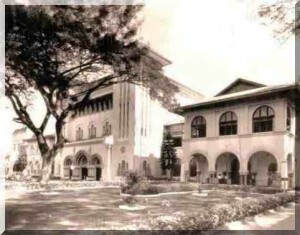 The college department started in 1936 and its name was changed to St. Paul College of Manila in 1940. Down around the corner of Herran and Dakota was an exclusive girls school called Assumption. Back in the day, it was right beside the Ateneo de Manila. It was the fashion for well-to-do families to send their daughters and sons to these catholic schools to be taught the values and ethics of their parents as well as the nuns and fathers that ran these institutions. 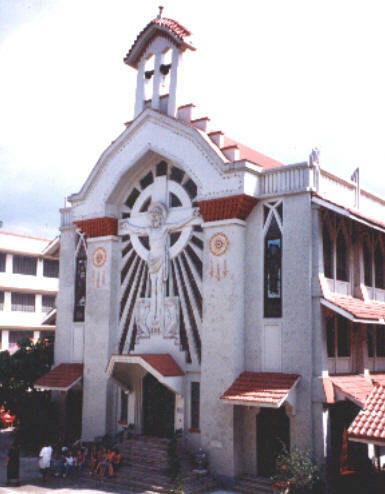 The Assumption Convent school was established in 1904. It was a vast and stately school with manicured gardens, high-ceilinged and arcaded school buildings in the neo-Gothic style sporting arched windows, and corridors with partly hidden floral medallions and the fleur de lis. 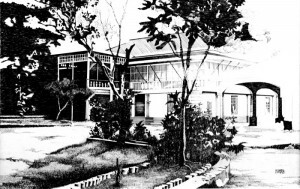 Surrounded by big, shady trees, the Assumption Convent was a place of top-caliber education, focusing not only on basic education but also with perhaps a bit of genteelness such as manners and penmanship. 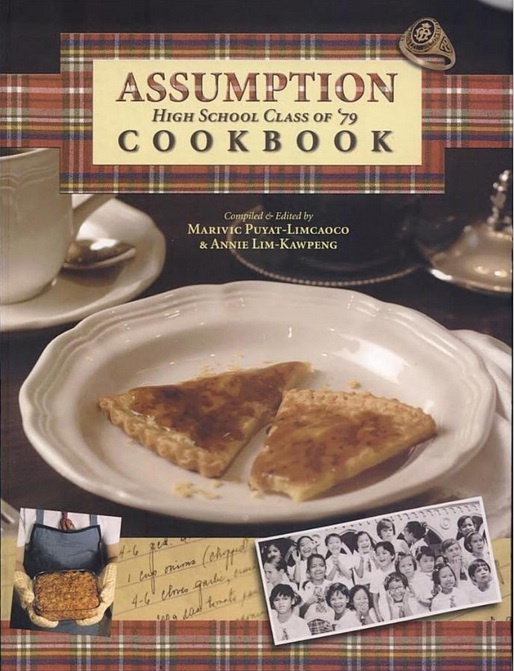 The girls wore distinctive uniform of Assumption plaid and white shirts as you would see them walking and laughing along the shaded streets to school. From its doors, girls left after being taught the sublime values of fidelity to duty, charity, sacrifice and responsibility. It truly reflected the sense of grace and charm reminiscent of a French country school. One of the things I noticed as I surfed the internet for information on this school was the apparent fetish for what is known as the “Assumption Tart”. Not having partaken of this tasty little treat, I’m relying on my readers to give me their opinions. 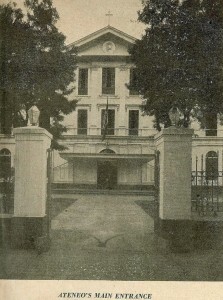 Because of the war and developing congestion of Manila, Assumption Convent later relocated the high school to Assumption College in San Lorenzo, Makati and the grade school to Assumption Antipolo. 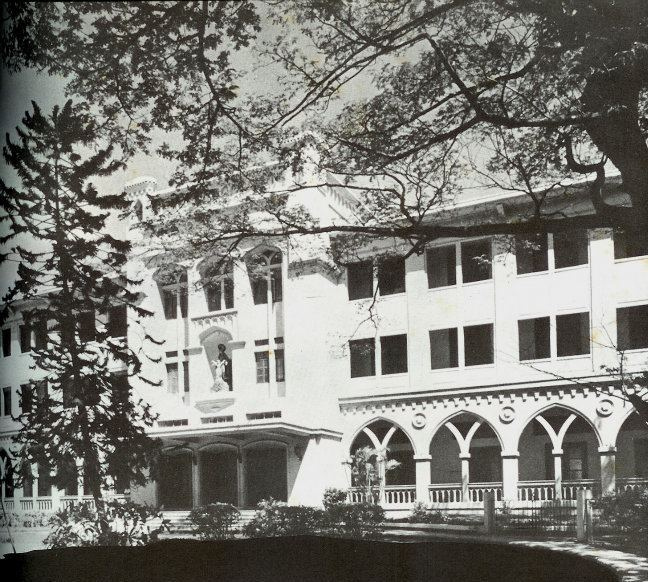 St. Scholastica’s College was founded by five young German sisters on December 3, 1906 at the request of Apostolic Delegate Monsignor Dom Agius and Manila Archibishop Jeremiah Harty to give religious education to the poor children of Manila. The original site of the St. Scholastica’s College was a small residential house surrounded by fishermen’s huts in the fishing village of Tondo. It had six paying students and 50 non-paying students or scholars. 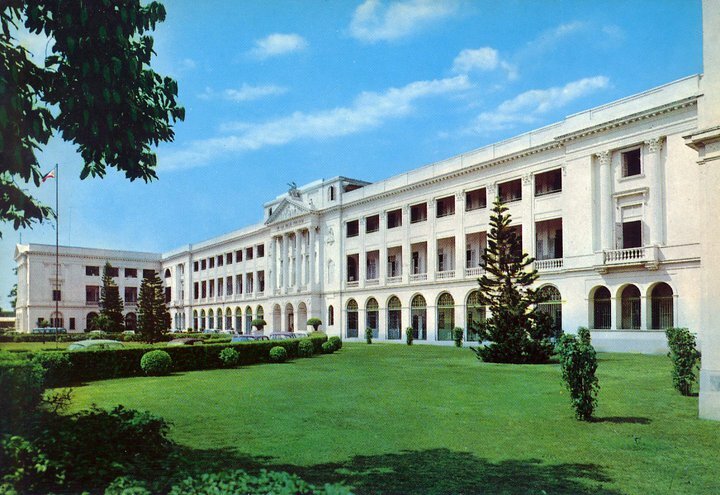 A year after the college opened, it was moved to an old military barracks on San Marcelino Street that was later occupied by St. Theresa’s College and where Adamson University now stands. On December 14, 1914 the college was moved again to a new site on Pennsylvania (Leon Guinto) Street where the college presently stands. The three-hectare campus was then bought for two cents per square meter. Both St. Scholastica’s College and its neighbor, De La Salle University, were substantially damaged during the war. Reconstruction of the buildings began in 1946 and took nine years to restore. 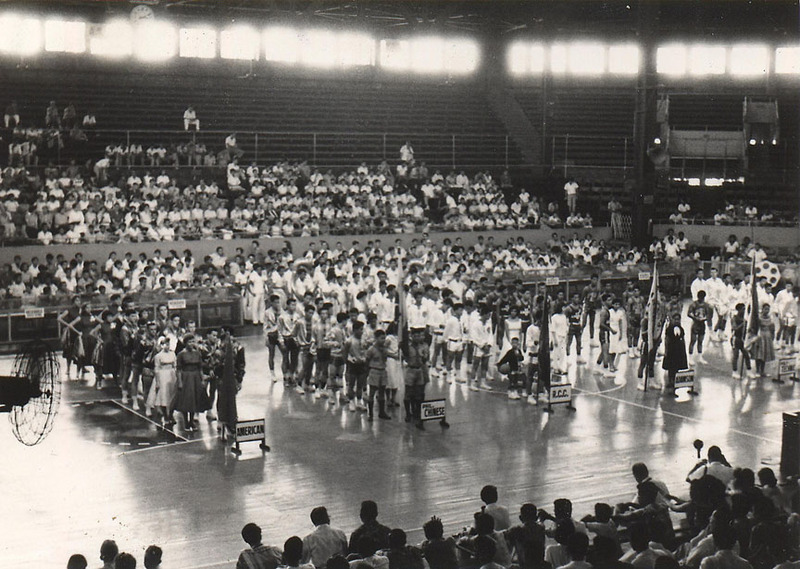 One of the things I used to look forward to back when I lived in Manila was the fierce basketball competition between rival schools and the one that stood out in my memory was the rivalry between Ateneo and La Salle; both excellent academic institutions, steeped in Manila’s history. I supposed it started back on Oct. 22, 1939, when the first La Salle-Ateneo friendship game was held in Rizal Tennis Stadium with President Manuel Quezon tossing the first ball. 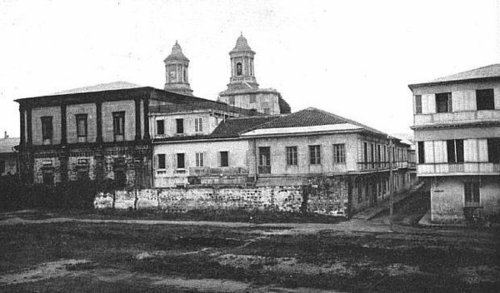 On 1 October 1859, the Philippine Governor-General authorized the Jesuits to take over the Escuela Municipal de Manila, a small private school maintained for some 30 children of Spanish residents. Ten Spanish Jesuit priests and a Jesuit brother began operating the school on 10 December 1859. The Ateneo de Manila University considers this date its foundation day. 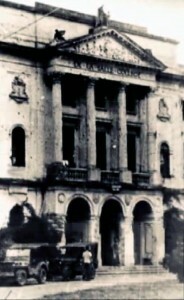 The Escuela eventually changed its name to Ateneo Municipal de Manila in 1865, when it became accredited as an institution of secondary education. It began by offering the bachillerato or bachelor’s degree, as well as courses leading to certificates in agriculture, surveying, and business. 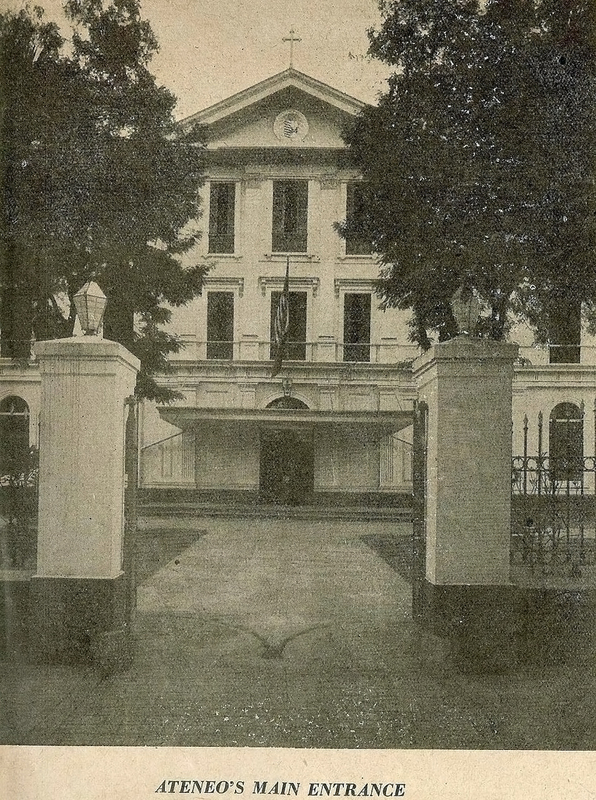 The campus was relocated to the grounds of the San Jose Major Seminary on Padre Faura Street after a fire destroyed the original Intramuros building in 1932. It was a serene and beautiful setting, a quiet street with large trees. The small observatory that was housed at the Intramuros campus was also moved into two new buildings. The Ateneo campus was completely devastated again during World War II and in 1952 moved to its present location at Loyola Heights. 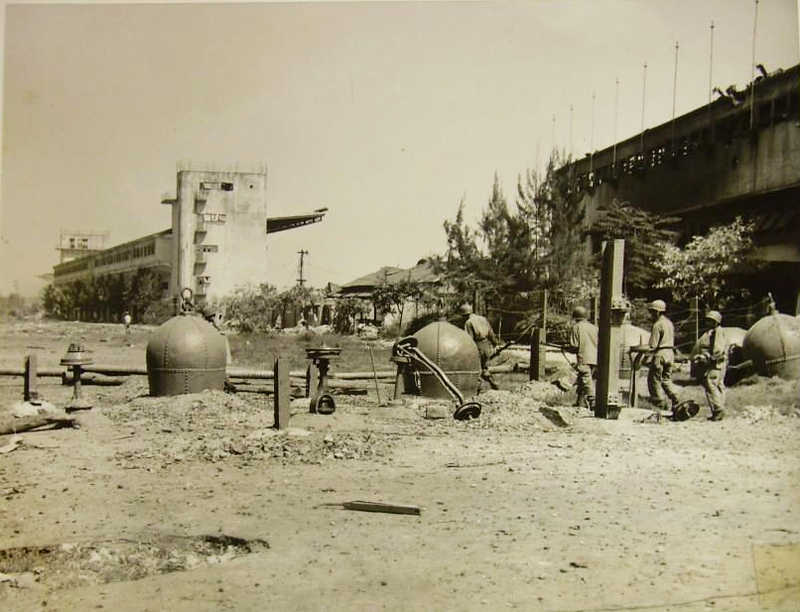 Besides its extensive resource materials, the Rizal Library also houses the American Historical Collection, an invaluable resource of photos and documents from the American colonial period, including the Santo Tomas Internment Camp. Former librarian in charge, Ms. Waldette Cueto provided us with wonderful assistance in our research for our Santo Tomas documentary. The school was founded by Archbishop Jeremiah Harty who believed that the establishment of a La Salle school in Manila was necessary to prevent the spread of Protestantism in the Philippines due to the impact of the American teachers called “Thomasites”. His request was endorsed in 1907 by the Pope Pius X and in 1911, an envoy of Lasallian Brothers arrived in Manila to search for a suitable campus. On June 16, 1911, the Brothers opened the first La Salle school in the country. The location was at the former Perez-Samanillo Compound on 652 Calle Nozaleda in Paco. 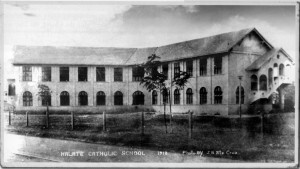 De La Salle College was first established as an elementary school and high school for boys and six months later, the college was incorporated under the sole ownership of the college director, Eilenbecker. 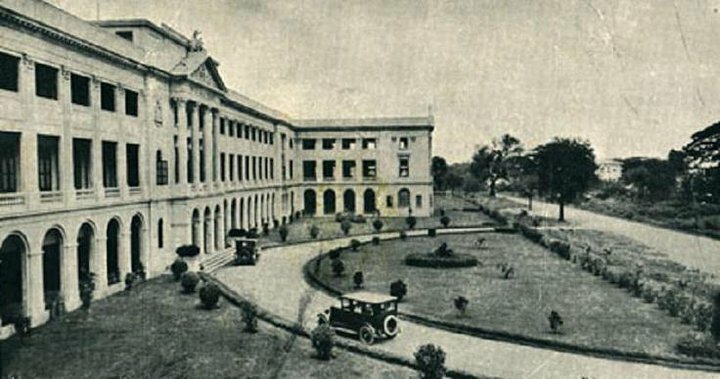 Due to the lack of space in the campus in Paco, and the growing population of its student and faculty, the college moved to its present location on Taft Avenue, Manila on February 12, 1921. 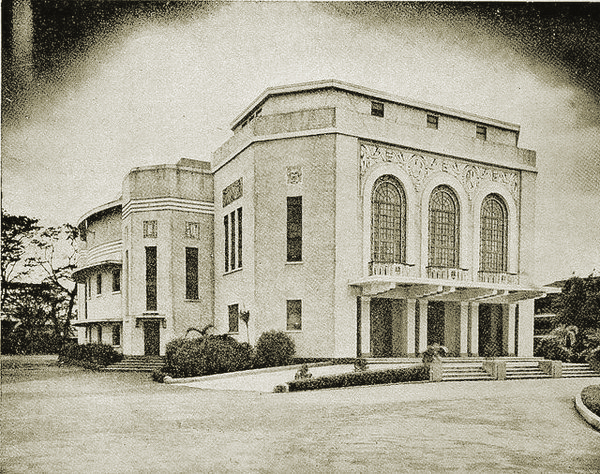 The St. La Salle Hall, the first building on the campus is a four-storey neoclassical style building completed in 1924 and was designed by Tomás Mapúa, the first Filipino registered architect and subsequent founder of Mapúa Institute of Technology. It served as the grade school and high school building back when the college was still offering those levels. De La Salle University offers 74 undergraduate and over 100 graduate degree programs through its seven colleges and one school. The College of Science, established in 1920, is the oldest degree-granting unit of the university. Quite a few of my fellow alumni at the American School in Pasay attended De la Salle including Nikki Perpletchikof, Paul Severien, Guilly Luchangco, John and Jim Belden, Marvin Thomas and my dear friend, Jackie Rodriguez. 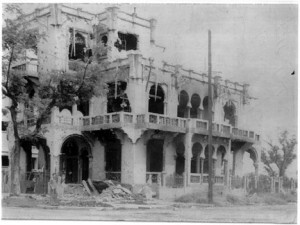 On February 12, 1945, a Japanese military officer along with 20 soldiers forcibly made their way into the college, which was then a refuge for 70 people, including 30 women and young girls, 16 Christian Brothers and the college’s chaplain-Redemptorist Father Cosgrave CSSR, and the adult men of two families. Only two days earlier, De La Salle College Director-Brother Egbert Xavier FSC was forcibly taken by a group of Japanese soldiers and never seen again. The Japanese soldiers herded these people into the school chapel where they were subsequently shot, slashed, or bayoneted. The bodies were heaped at the foot of the stairs. The soldiers left and were heard outside laughing and mocking at the suffering. Those who did not die in the attack were left to bleed to death. At times, the Japanese returned and attempted to violate the women who were dying from their wounds. The soldiers ransacked the building and all the sacred vessels were stolen. Finally, the Japanese set fire to the chapel but one of the brothers, who was dying, succeeded in putting it out. The following afternoon the Americans captured the college and took the few survivors out. Aerial view of De La Salle and behind it is the Rizal Memorial field. 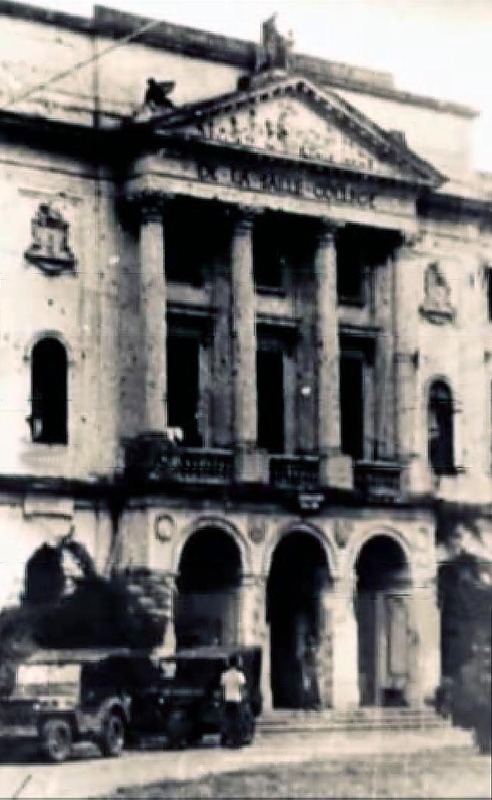 In February 1945, during the Battle of Manila, Ermita was the scene of some of the most horrific massacres that occurred during the Second World War. 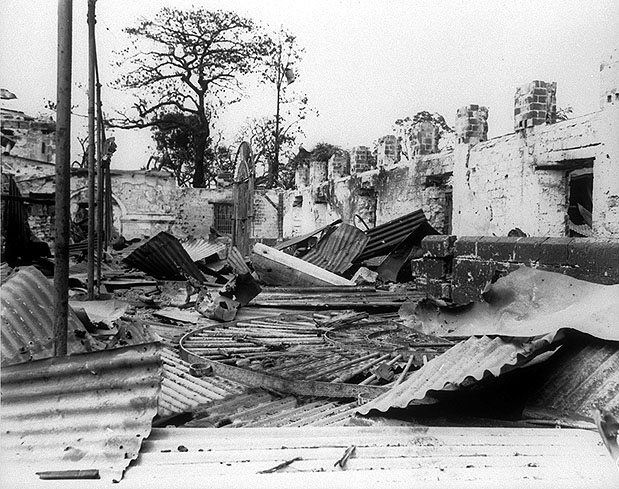 Between 68% to 85% of Ermita was destroyed during the Battle of Manila, with an estimated total of 100,000 Filipino civilians killed in the city itself. 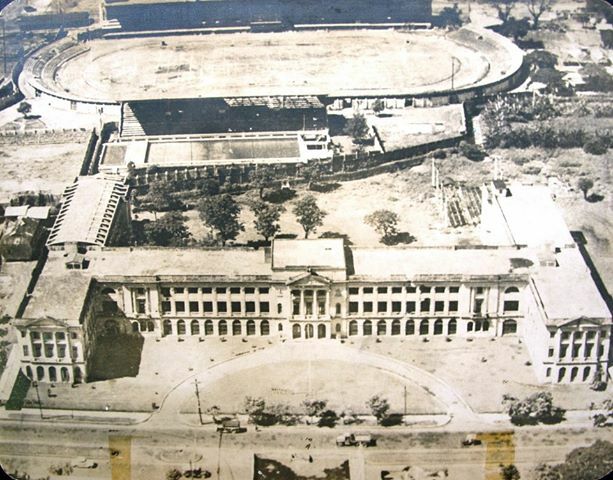 The 10-hectare sports complex, where majority of the national athletes train, was built in 1934 after the Vito Cruz family donated it to the City Government of Manila. The complex consisted of a soccer field, an Olympic-sized swimming pool, several tennis courts, a baseball and track field and a covered arena for basketball. 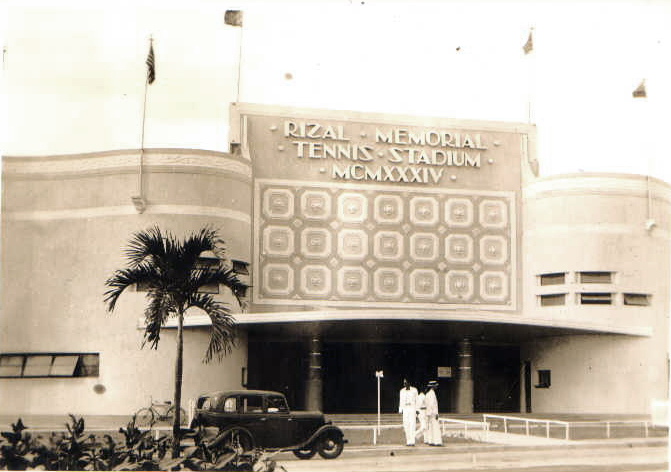 It was formerly known as Manila Carnival Grounds, originally built for tennis and was called the Rizal Memorial Tennis Stadium, but later used for the Far Eastern Championship Games, a precursor to the Asian Games. 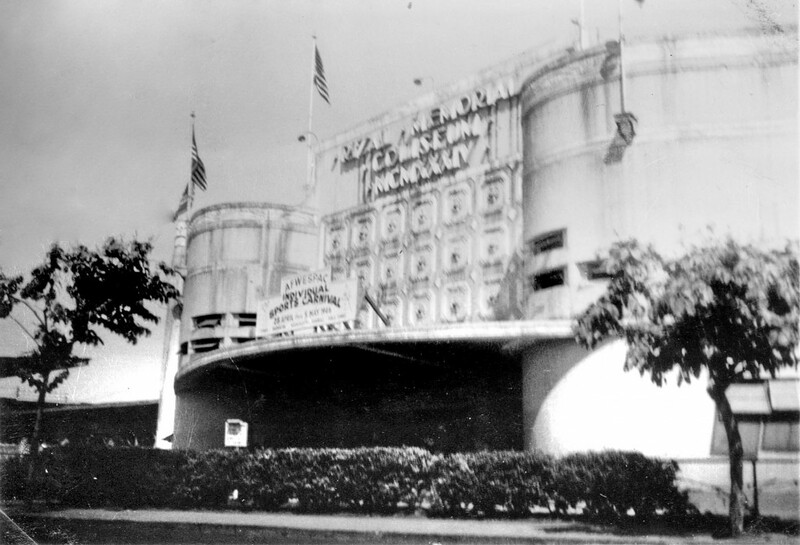 The Coliseum was just a few blocks away from the American School. 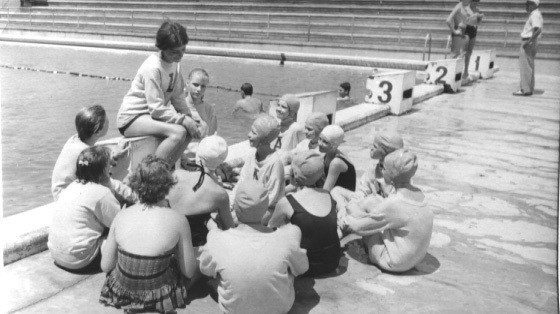 As such, our swimming team availed themselves of the Oympic-sized pool and many sports matches were held on the grounds. The photo below shows our basketball team (first row on the left) assembling with other high schools. We loved to watch our team – but enjoyed the cheerleaders too ! Rick Budd was captain of the team and Anita Awad was head of our cheerleading squad. The Rizal field was the site for a horrific battle as the Japanese entrenched themselves within the stadium. U.S. soldiers had to root them out with flame throwers. The badly damaged stadium was rebuilt after the war. I still remember going to a few concerts back in the Fifties featuring Little Richard, Xavier Cugat Orchestra with Abbe Lane, and the Platters. I missed the big one though with the Beatles. The Philippine Sports Commission (PSC) has recently announced that the Rizal Memorial Sports Complex (RMSC) will be up for sale. Rumors abound regarding the purchase of the site by the De la Salle University for expansion purposes. So, what ever happened to this idyllic and quiet neighborhood that I used to call home ? Well, by all accounts it has evolved, to put it mildly, into an overcrowded, over-trafficked area of apartments, restaurants and night haunts. Nothing brought me back to reality more than seeing a recent photo of my old apartment on the corner of Mabini and Tennessee (Malvar). As a 4 year old, I used to hang out those top windows with my legs sticking through the bars, looking at the sidewalk at the people walking by and the occasional bus or jeepney on Mabini. Days long gone. This concludes my series of the Malate – Ermita district. I’m quite sure I’ve left many things out, not by intent, but by the sheer volume of subjects and data. I do update previous posts as I acquire new information and photos so please continue to browse the older pages. 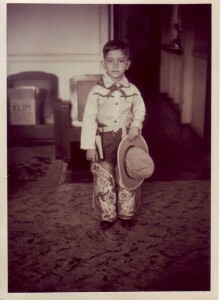 As always, I look forward to your comments and hope you continue to share your memories and photos with all of us. Please check out the Manila Nostalgia Facebook page too ! Click to find us on Facebook. Lou, hats off to you for your terrific blog. As I told you earlier I learned more about Manila from your blog than I did in school or elsewhere. Thank you for showing the house of my grandparents. My father is in the 2nd picture. He is the tiny figure standing on the left side next to their ruined home. I also liked reading about Ermita and Malate Church. I attended the 7am mass at Malate Church today and was warmly greeted by Fr. Mike/ Michael. He is an Irish priest that has been here for decades and he knew my late uncle Fr. Francis Litton who was also a priest at Malate church a long time ago. He died in the mid 80s back in Dublin. Btw, I think you also showed a picture of my late father inlay. He is the one standing next to Pres. Quezon when he was tossing a ball. Once again Lou, thank you for your blog. It’s too bad there will be no part 4. Thank you for your kind comments Edwina. You never know about Part 4 as there is always something to write about. I get a lot of help from my readers such as Jim who was nice enough to forward the photos of your old home. Nice seeing you here too on Lou Gopal’s blog. I was wondering maybe Lou can include the historic Philippine Geenral Hospital in his update of this series. Great job though! I am a pure Manileno born and bred in the Ermita-Malate District. Thanks for this blog. Truly very informative with regards to history and heritage. I so liked the old ermita church history. 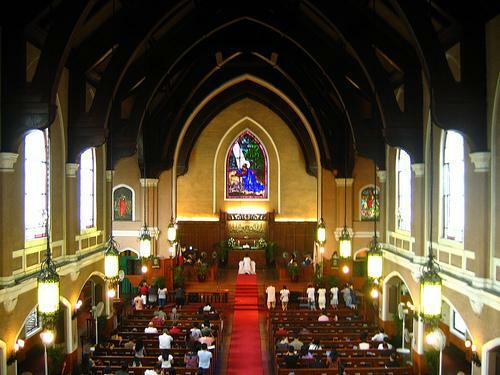 Growing up in our old house in Dakota Street was never complete without Sunday mass in Ermita Church (Nstra. Sra. de Guia). We would walk from our house to the church and pass by stores along Mabini like Ronnies (famous flower arranger), United Supermarket (whole egg pie for 8 bucks) and the likes. I remember that there was a truly antique craze back then in the district. So after mass, my parents would bring my sister and I to the muslim stores right beside the church where so many antique jars (blues and white, brown, et.al.) are being sold. I also remember behind our house was an empty lot facing Mabini. Across it was Tesoro’s. where my father would have his barong tagalog made. If I m not mistaken the name of the guy was Mang Turing. My father also brought me there for my first formal barong. Years later, I would drop by the same place and the ladies would still recognize as the son of “Atty. Ligon”. Talk about service. I mentioned about Ronnie’s because when Christmas season would arrive, my father would bring us to that shop along Mabini and see the Christmas decor. It was like a virtual wonderland where there were moving dolls and bright tinsels and glitter around the shop. The building is still there now connected to a hotel but alas the shop is now part of history as the owner became victim to a tragic story. Our house in Dakota, (still luckily standing although not our family anymore) was beautiful during the 1950’s . It had balconys, one on the ground and one on the top. It was right across the old Ateneo Padre faura campus. According to my my mom and aunts, my grandparents loved giving parties whether for ambassadors, senators and other vip’s. When Ateneo won the NCAA, a big bonfire was done in the campus in the area occupied by the Caltex (PAL training school) building. My grandfather, who was also a law professor at the Ateneo would hold an open party where players and politikos (alumni of ateneo) would attend. So imagine that part of Dakota being filled with cars of alumni and students. Rizal Memorial is very special for me . 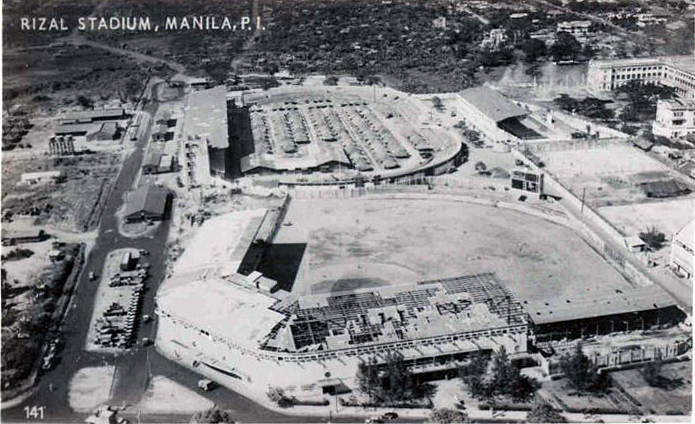 coliseum was the sight of Holiday on Ice, concerts and most especially NCAA/UAAP games. My family would always watch basketball and would definitely cheer for Ateneo. My family (mom, aunts and uncles) would be loyal to Ateneo up to this very day. They boast that they knew the ateneo cheers first and long before they knew ABC’s. So many happy memories made. One unforgettable one was when they were already older and watched it in Rizal. It was Ateneo vs. a private college. My mom was already married still went to watch the game with her sisters and brother. They were all scattered around Rizal. While the game was going on, they noticed that the referee was siding for the private college. Unfortunately, the ball landed on the side of my uncle. When the referee came to get it, my uncle threw it to the middle of the court. The referee scolded him and told him to get out of the coliseum. A commotion erupted, my mother and aunts stood up and sided with my uncle. another uncle who was seated on the oppsosite side rushed to his brother’s defense. Still another brother, the youngest who was in the bleachers, rushed to my family’s side. An alumni, soon to be a justice of the supreme court, scolded the referee and told him not to touch any the ateneo crowd. Poor referee just left in embarassment. Memories of a hyper family. The baseball stadium is also very special. I would accompany my dad wh started out as manager of teh Traders Royal Bank baseball team, From there, he became active with it and formed the Philippine tot baseball team. 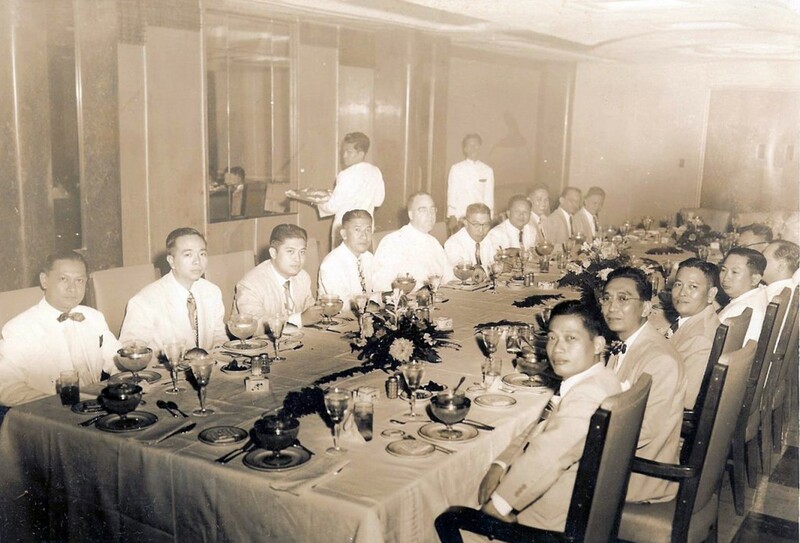 By the way, the picture I sent to you of the Ateneo Law school faculty was probably around 1948-1949. Dean D.T. Reyes was law school dean from 1948-1958 Fr. 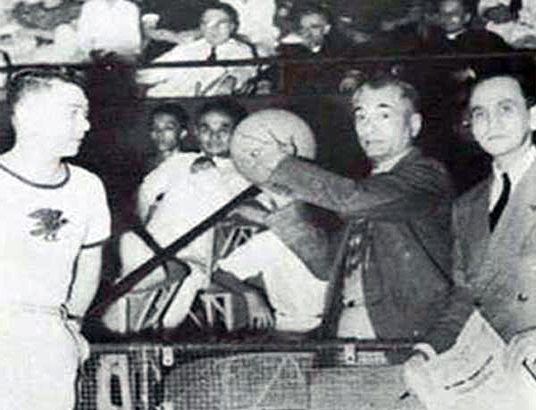 Masterson was head of Ateneo from 1948-1950. So i beleive these were the years. Cheers!!! Assumption tart are triangular flour tarts topped with guava jam served during Assumption reunion. Are you from the Ateneo graduating class of 1956? If you are I have photos of you from that time I’d be happy to send you. great blog, lou. 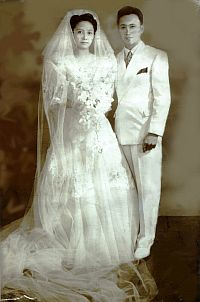 my parents were married in iglesia de santa mesa in 1946. my father iis 97 years old living in madrid,spain. tomorrow i will read him part 2 and part 3. thanks a million. Thanks Maria and please send a special hello to your dad. God bless him ! Very well done…..As usual…….You can see the pride & the love invested in this work by the emotions stirred up in the reader……. I like to be glued to this informative corner. thanks. Thank You Lou for all your hard work in creating this blog. seeing and reading about the school I so loved. As usual, your Part III on the Manila-Ermita District brings back so much nostalgia and a number of tidbits from the history of these two historical areas of our beloved Manila. Just to add as a footnote, I’d like to mention that the Ermita Church was designed by my great-grand-father, the painter and a renowned resident of Ermita, Lorenzo Guerrero. This is the older Ermita Church that was destroyed by the liberation of Manila and whose picture appears in this article. Viola must have designed the newer Ermita church that exists today. Could you kindly include in an update of this Ermita-Malate series the prominent families of Manila and the contiguous área of the district where they used to live. 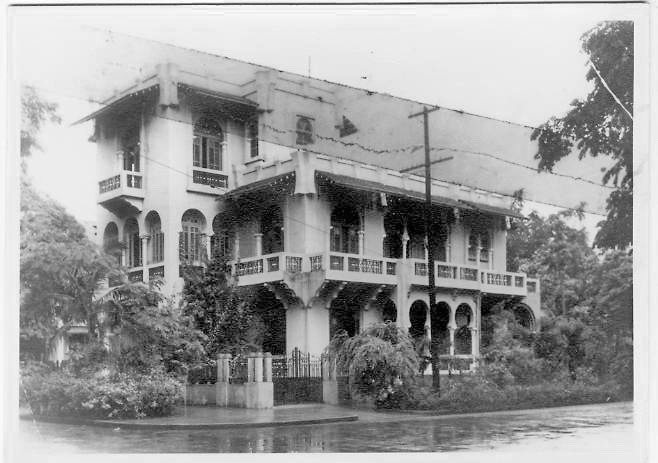 My grandmother and the eldest brother of my father (first graduate of UP College of Medicine) owned and lived on a property beside Dairy Queen on Taft Avenue. My uncle’s family also lived on Remedios in a dúplex house along with the Bilbao family. Our patenal grandparents property was a compound of 4 houses located on San Marcelina Street between Herran (Pedro Gil) and California (Josefa Llanes Escoda). I was born there and grew up in the área and knew a lot of our neighbors. 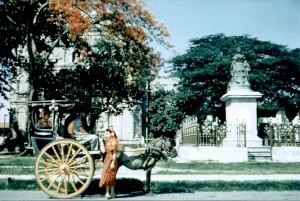 Rustan’s, Bungalow Restaurant, Plaridel masonic Temple, Paco Cemetery (aka Paco Park), original Maryknoll School on Leon Guinto (now site of Asian Social Institute founded by Fr. Francis Senden, cicm). 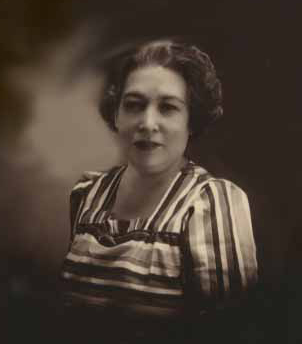 Some of the well-known families in this área were the Veloso, Guinto, Eduque, Nava, Ocampo, Villanueva, Guerrero, etc. That was indeed a quick revision and the additional information on Lorenzo Guerrero is great. Thanks, Lou. thank you so much for such a beautiful piece of history, I am a graduate of Assumption COnvent in Herran and to see my old school as it use to be brought back so many happy tears and memories. You have done a fantastic job in the writing of all the interesting places that i remember of Manila. I now live in Queensland, Australia but home is where the heart is and that is Philippines. The only comment i have is that i wanted to forward this blog to my family around the world specially the ones that are celebrating their 90th and 95th birthday and were born and raised during the war in Manila but could not find the forward botton. Again i say a BIG THANK YOU for the wonderful blog you have written. More power to you. Fortunately I witnessed all of the above performances because I had easy access to the tickets. Botica Boei was always a ticket outlet (there was no “Ticketmaster” or anything of this ilk then) and I could “charge” my tickets to the paycheck of my mother, an employee of the store. Cugat and Abbey Lane (many, many years before Charo) performed in the Philippine International Fair which the PH, sorry, PI, hosted in 1954. If you recall the pavilions were located in front of the Jai-Halai and MBC buildings between Taft Avenue and the Luneta park. When I left the RP in 1969 some of the statues from the Expo were still in front of the Finance Bldg and scattered in and around the quadrangle of that park. The Platters were the first concert I remember seeing. It was quite thrilling. I remembered how hot and sweaty they looked while we were in the audience thinking, hmm… pretty nice out tonight ! The Harlem Globetrotters were a thrill, especially for a young lad like me. I used to wonder then, “how do they always win ?” Thanks for sharing your memories, Frank. It brought me back too ! Didn’t Xavier Cugat and Abbe Lane perform during the first and only bullfight held in front of Manila City Hall in the 50’s? When I was a kid growing up, we watched The Platters, Bill Haley and Comets, Everly Bros. at Rizal Memorial Coliseum. 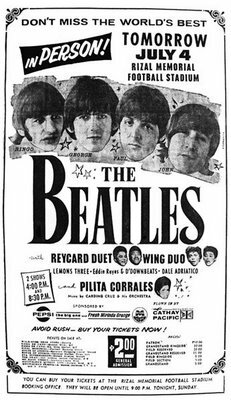 I was lucky to be able to watch The Beatles at Rizal Memorial Football Stadium. Ever theater were I saw ” Alexander the great, Haji Babba, Ideal were I saw Knights of the round Table and of course The Galaxy were I saw The Ten commandment which was run for whole year”. And also Life and Dalisay theater which run Tagalog film or they say at my time “Bakya crowd”. And the buble gum connected like a pillars at ACME super market. grandkids, a nice cruise in the Bahamas and driving North to New York area were my son lived with his family. To Frank Sityar thanks for reminding me of Pepe Pimentel, He is a funny fellow. God bless him. I was born 6 months before the war. It was nice learning about the war and its effect to the people of Manila. Thank you very much. Wow, these are not just stories Lou – this is History. I grew up in Malate in 50’s (Wright Street corner Remedios). I went to primary and high school at the Malate Catholic School, then to De La Salle College for my Chemical Engineering degree, and proceeded to Colorado School of Mines for graduate studies. How well I remember Malate – and I was an altar boy at the Malate Catholic Church. I went back in 2008 after decades of being away. The change that I saw was shocking to say the least. Malate of my boyhood was a nice residential district. Today it seems every corner building is a bar of some sort. Thank you for including pictures of my two schools (Malate Catholic School and La Salle). Dewey Blvd. was near my home, so very often my friends and I would go skinny dipping at the bay after school – ahh what memories. Lou – thank you for taking me back and making me remember “when I was a kid” – by jove I would like to be a kid again in Malate. Thanks so much Lou for bringing back so much history. This is a great learning for so many and fantastic research and work. Lou, if it werent sent over to the spiritof67 by Manny Sibal, I wouldnt have been aware of your nostalgic blog. The bell of the Malate Church came from the Hilario Sunico foundry in Binondo. Thanks to Manny Sibal & to you very much. I remember stealing a street red octagonal ‘STOP’ sign with a La Sallite friend one midnight in one of the Malate streets just for kicks in the late 60s during the days of the Makati Automat & Rizal Theater. It took us almost an hour to pry the screws loose, having to stop & pretend to be tinkering with the car engine every time a pedestrian or a car passess by…. I’m glad you found the site. Your story of the stop sign is funny. I remember doing a similar thing but I don’t remember where my sign went to after all these years. Maybe I should make an act of contrition ? What about UP College of Medicine and PGH beside it? UP is right across St Paul in Herran; any idea when this was built? Hi, I am the great grand daughter of Dr Luis Ma. Guerrero. I’d like to know where the ancestral home is, I have read that it’s located at Plaza Ferguson. It is ironic as I grew up in Malvar cnr Guerrero Street, in a small apartment unit with only little knowledge about how great my ancestors were. I am hoping to see even just some photos, my mother mentioned that the house was apparently converted into a banking institution or something and my father, Edgar never had the chance to tell me stories. I now live in Sydney but hoping to visit one day and show my children our heritage. Thank you. My mother Candida Asuncion grew up on 606 Tennessee St. Malate Street. They moved to that house in 1946. My uncle Pedro Asuncion and his family still live in that house up to now. Correction: My mother Candida Asuncion grew up at 606 Tennessee Street Malate. They moved to that house in 1946. My uncle Pedro Asuncion and his family still live in that house up to now. Thanks Lou. 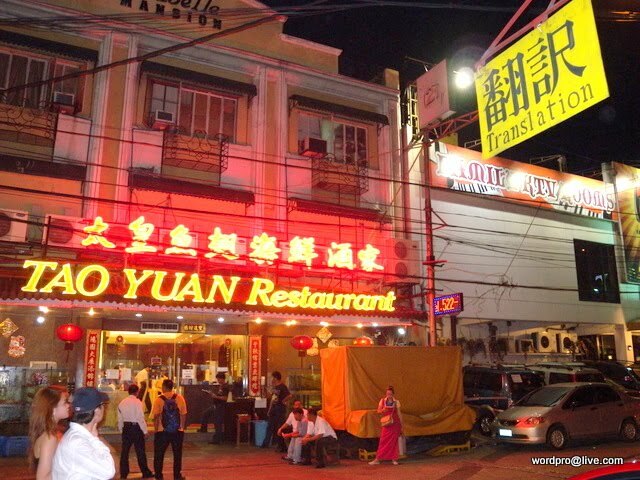 Your blog really rekindled of memories of the old Ermita-Malate area. I found this fantastic site by accident and read everything from part one. We lived in 638 Isaac Peral when I was 13 years old, beside the American Bible house (ran by the Fongers who lost their son Burton at Los Banos) . At the corner was the American Red Cross building which was also ravaged during the war. Our place over looked a wide nice green park with Bordner at the Taft side and San Marcelino at the other. I went to Union High School at Tennessee street (corner Wright) by bus (3 centavos fare) or sometimes just by walking past PGH. They built a concrete Police Station in front which the Japanese took over. Very fortunately the Japanese ordered us out of our house which they said will be made their hospital. So when the Americans finally came in we safely at 907 Oroquieta and liberated same hour as Sto. Tomas when the Shermans passed our house late in the evening of february 3, 1945.
for joining an anti-Japanese group at Central Church (mentioned earlier in this thread). My father was pastor at that Methodist church pre war. Those pre war days were very happy for us growing kids. Many thanks Lou for creating this blog.